Moosic, Pa. - An annual tradition takes a twist. In 2015, the Scranton/Wilkes-Barre RailRiders' (Triple-A/New York Yankees) Breast Cancer Awareness Game will sport special pink jerseys. And this year, fans can champion the fight or memory of a loved one by placing their names on the jerseys themselves. With a $20 donation to Susan G. Komen® NEPA, a loved one's name will appear as part of a pinstripe on the RailRiders' Breast Cancer Awareness jerseys. The jerseys will be autographed and auctioned off to the highest bidder that same night, Aug. 22. Submissions for donations and names are due by Friday, May 29. The night features a number of other activities in recognition of the cause. The first 2,500 fans in attendance will receive a replica pink RailRiders jersey courtesy of PNC Bank. There will be a raffle for a RailRiders' team-signed pink bat. Breast cancer survivors will receive complimentary tickets and everyone is encouraged to participate in a PNC Field Pink-Out by wearing pink to support the cause. 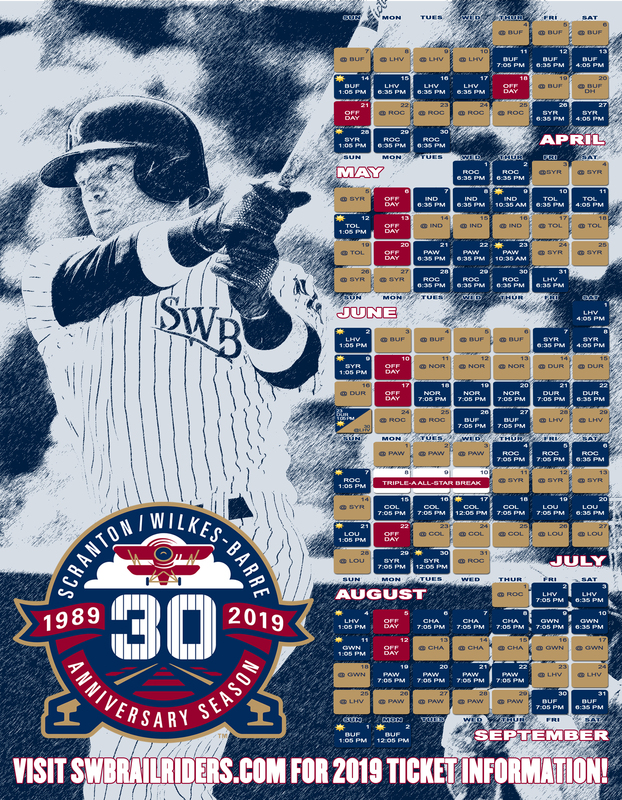 Entries for names should be sent to the RailRiders' offices: 235 Montage Mountain Rd., Moosic, PA 18507. Cash or check will be accepted as payment for the $20 donation. Checks should be made payable to: Susan G. Komen® NEPA. Payment must be received before a name is printed. Entrants should include the first and last name to appear on the jersey. That name should be typed or printed legibly. The opportunity has a limited availability. CLICK HERE for an entry form PDF. "Komen NEPA is excited to join the RailRiders for Breast Awareness Night at PNC Field," said Dolly Woody, executive director of Susan G. Komen® NEPA. "The Komen NEPA Race for the Cure is celebrating 25 years of impact in the fight against breast cancer and Breast Cancer Awareness Night is an opportunity to educate the public. We want women and men to, 'Know your normal. Know your risks.' Prevention and early detection are key pieces to ending breast cancer."